Prophet Muhammad (SAW) was the last Messenger of Allah, the final seal of all Prophets and the best of creations. He (SAW) was sent as a mercy to all mankind. During the course of his mission Allah (SWT) blessed the Prophet (SAW) with many miracles. These miracles were witnessed by the Sahaba, recorded and brought down to us today through sound transmission. The miracles of the Prophet (SAW) are numerous, ranging into the hundreds, such as the splitting of the moon , the crying of the trunk of the Date Palm tree or the Quran. During this Sacred Knowledge Seminar, Shaykh Faisal Hamid Abdur-Razak will cover many of the miracles of Prophet Muhammad (SAW). 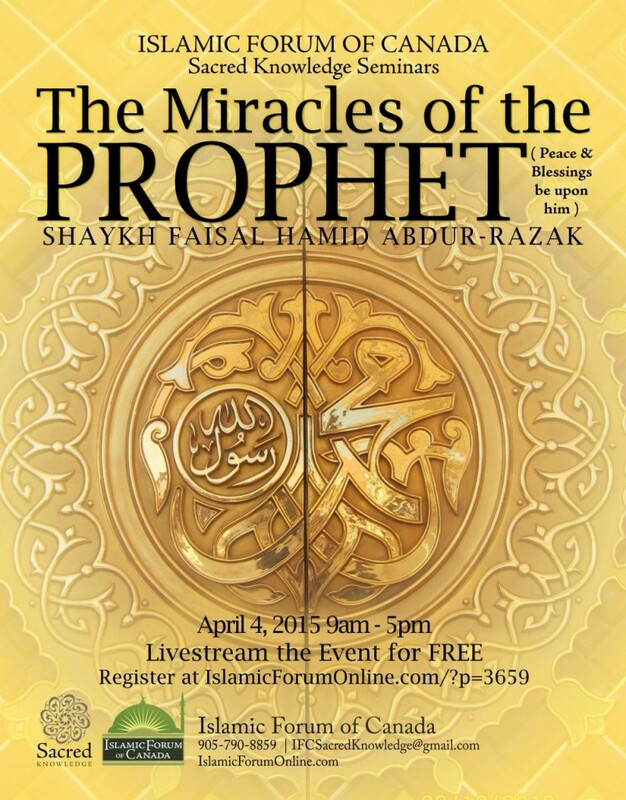 Live stream website: Details will be provided once you register.